Our first date was the result of me challenging my husband's cooking skills. He had been over to my place with friends playing board games until the early hours of the morning. I don't recall exactly how cooking was brought up in the conversation, but Jason perked right up and proclaimed that he could cook. "Oh yeah? Prove it!" I said with a teasing tone. "How about Saturday? I'll make you lunch." he responded. And so it went. The rest is history. Little did I know our first date would give me a glimpse of what life would be like in the future and just how important overcoming struggles with autism in marriage is, especially in regards to adaptive skills. Truth be told, Jason was two hours late for our first date. I don't remember who called who first to check and confirm we were still on. Lunch preparations took much longer than Jason had anticipated. Eventually we did enjoy lunch together at the rocky water's edge after a long scenic drive in the Blue Ridge Mountains of Virginia (where we both lived at the time). Jason proved he could cook with delicious chicken salad sandwiches and a carrot slaw. I can still remember how he took the time to describe each dish he had prepared. There was a sparkle in his eyes. It almost hid the anxiety I could hear in his voice, as he worried whether I'd like what he prepared. Jason has always had an obsession with different aspects of cooking. Fast forward eleven plus years and Jason cooks as much, if not more, than I do now that he's home full time. Once he feels comfortable with a recipe, nine times out of ten it turns out much better than when I prepare it. And why wouldn't it? Jason is constantly reading about chefs and cooking whether it's Marcella Hazen's Essentials of Classic Italian Cooking or Anthony Bourdain's Kitchen Confidential. There's always some form of cook book or chef biography on his kindle. But just because he reads about cooking doesn't mean that all tasks food related go well. A lack of adaptive skills and developmental delays from childhood don't just disappear when you're and adult with autism. There are limitations to Jason's skills. No matter how hard he works a change in ability takes a significant amount of time, if it's possible at all. The first step when preparing a delicious meal is going to the grocery store for the ingredients. This is REALLY hard for Jason. 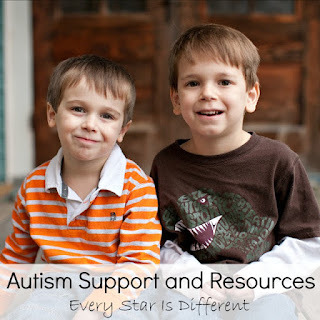 Before we knew he had autism, I'd send him to the store for items we needed on a regular basis. Every time he'd come back without at least one of the items I had asked for, no matter how big or small the list was. This drove me absolutely crazy! 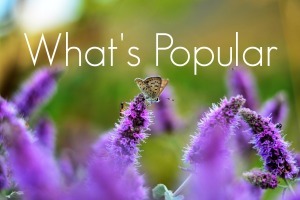 Who can't go to the grocery store with a list and bring home the items on it? It's a simple task, especially when there are only four items. Each time this would happen I became upset. Jason felt ashamed, frustrated, and then resentful. In his mind, he was doing the best he could, but it wasn't good enough. As you can guess, this led to many disagreements over the years. 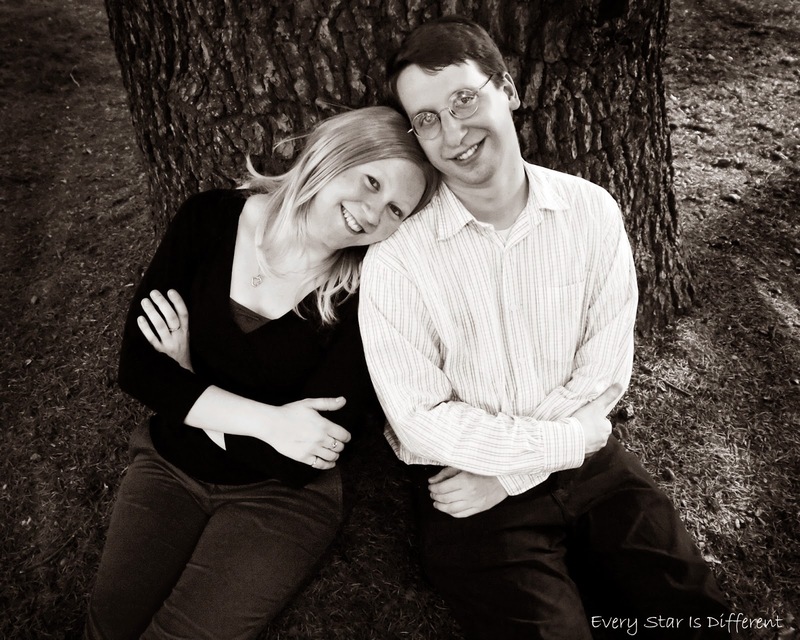 After Jason received his autism diagnosis, one of the first goals he set for himself was successfully shopping with a list at the grocery store. He enjoys grocery shopping and though he'd been rather horrible at it, to him this was an important skill to master because of his obsessions with cooking. It didn't take long to realize that reaching his goal was going to be much more difficult than we had originally thought. There were several steps involved in this process and many obstacles that he needed to overcome. There were distractions everywhere, including in the car on the way to the grocery store. 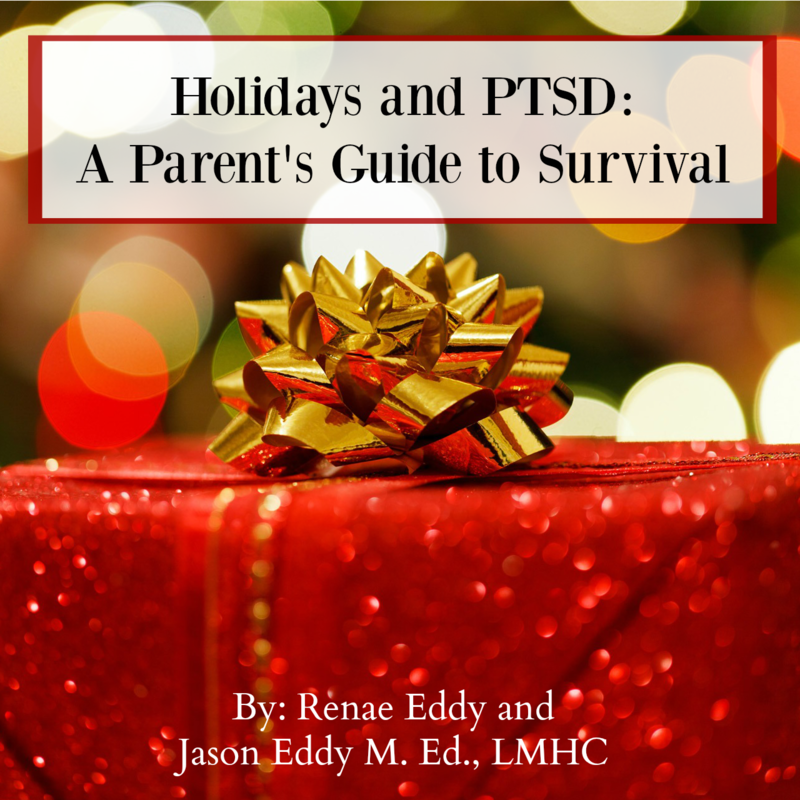 His sensory sensitivities did not mesh well with the many sensory experiences abounding while shopping. Focusing on the task at hand with so many distractions and sensory experiences was next to impossible. Forget about checking the list over when he was done. Formulating a plan to make it through the grocery store without forgetting items required organizational skills. Grocery stores constantly change their displays and move food items to other locations. This really threw Jason off. Anxieties mounted when he couldn't find an item he needed, especially when he should have asked for help. Sometimes social anxieties ultimately outweighed the need for the item. Let's not forget the casual run in with a friend or acquaintance in the grocery store that required a transition of thought process, social skills, and focus. These obstacles are so difficult to overcome that we're still working on them two plus years later. Yes. You read that right. To date, Jason still hasn't reached his goal. But he is getting closer. Because we've seen little successes, we know bigger successes are on the horizon. Jason is willing to put the work in to master this skill because the goal is so important to him. Along the way we've learned a few things. Jason needs a grocery list, no matter how few items he must purchase. A weekly grocery list that includes the meal plan and the grocery items provides the support Jason needs when he's unsure about something on the list. Grocery items listed need to be very specific, with details like frozen or fresh, name brands, colors, etc. Going to the store at night and alone minimizes distractions and sensory stimuli. It also helps with focus and anxiety. Despite the obstacles that Jason still faces going to the grocery store, we have been able to find the silver lining in his efforts. Though he may forget things, Jason sticks to the list. He never comes home with extra items and spends much less than when I go to the store. I don't like to shop, especially for groceries, so as long as he's practicing, I can avoid the chore all together. I love watching him set a goal and work to achieve it. It's a very attractive quality to me. And in the end, when he does forget an item, he's always willing to return to the store to pick it up as soon as he's able. 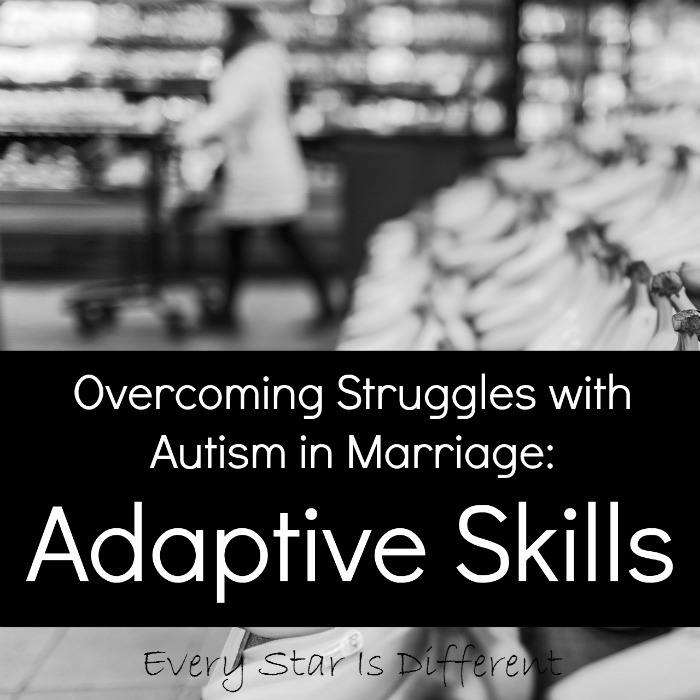 It may be silly to be talking about grocery shopping and how it affects marriage, but when you're married to someone with autism, challenges with small tasks can affect things, especially when they happen repeatedly. 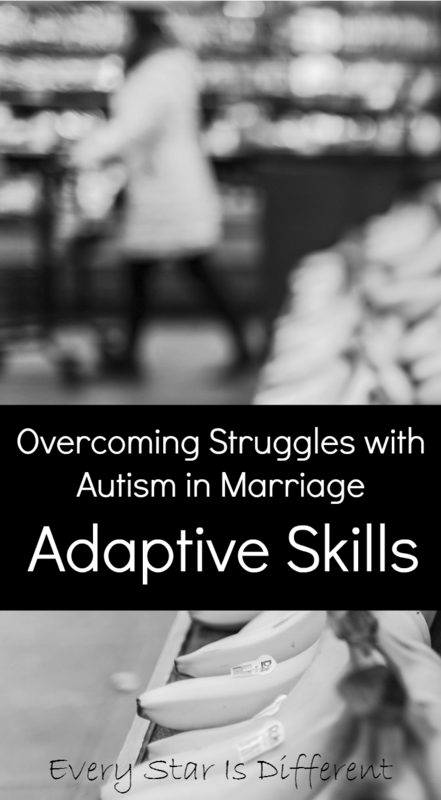 Struggles with autism in marriage are real, especially those regarding adaptive skills. Over time, we've learned to balance life out focusing on each other's strengths and playing into those as much as possible. I create the meal plan, write out the grocery list, take care of the groceries and do the baking. Jason does the grocery shopping, prepares the dinner meals (asking questions when needed), and does the dishes. Each task has taken time for Jason to develop into what it is today, but he's done it. Just this weekend, he prepared our entire Thanksgiving dinner with minimal assistance from me. It was the most delicious Thanksgiving dinner we've ever had! Thanks for sharing more of your experiences Renae. My husband is also the better cook in our relationship and also happens to spend less at the supermarket! Hahaha! You're very welcome. 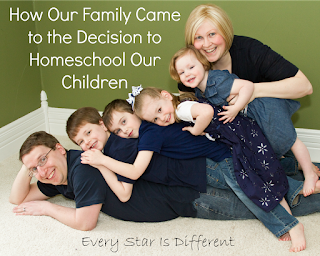 We are excited to share our story. I stumbled upon your blog after a Pinterest search on Autism and Marriage. 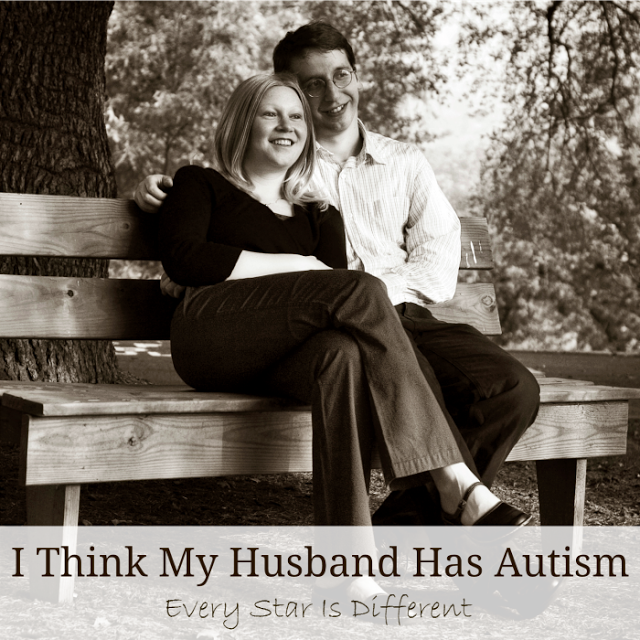 I am recently engaged to a wonderful man and he has Autism. I am posting Anon because he doesn't just freely share this information with everyone though it's very easily recognized by those around us. Your blog gave me so much hope tonight. I have moments that I wonder if I can do this...if I can marry him. So thank you for this. I do fully understand the significance of a trip to the grocery store!